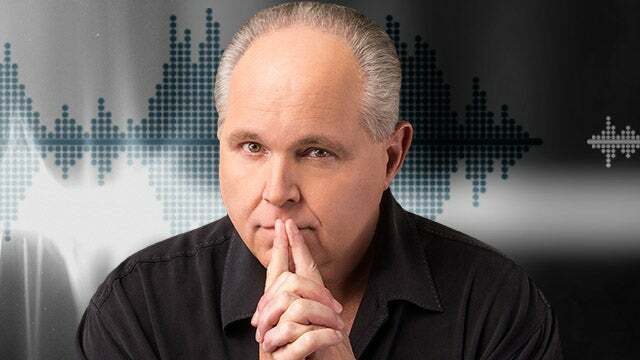 RUSH: By the way, I’m just announcing this right now. Nobody knows this, but they will in a moment. We’re gonna replay the call from Jerome tomorrow. We got Jerome from Traverse City, Michigan, who claimed that, while in prison in segregation, he was almost in solitary confinement, listening to this radio program turned his life around. I can’t tell you the amount of feedback over this, over the weekend that I received over this, and thankfully so. I’m gratified so many people heard it. And Ben Shapiro’s website, The Daily Wire, ran a piece on it. BizPac network, Snerdley sent it me, they ran a piece on it I think on Sunday. ‘Cause it was profound, 24 years old, been in jail all his life, African-American, had no hope for the future ’cause everybody in his family had told him that the world was stacked against him and Trump thought he was scum, Republicans thought he was scum. And he believed it all, until they took away his television privileges in segregated prison, and all he had was AM/FM radio, and he got sick and tired of the same playlists over and over on FM radio, so he thought that he would just scour talk shows because that might come closer to TV programming than anything he could find. He stumbled across this program, and it changed his life. And he called to tell us about it. It was one of the most gratifying calls I’ve had in the 29 years we’ve been doing this. And we posted it on our Facebook page. We put it at RushLimbaugh.com. But I’ve decided I want to re-air the call. I don’t know when. Probably the second hour, ’cause the call happened in the third hour on Friday, so we’ll air it in a different hour tomorrow. First hour, second hour. But, I mean, it’s spine-tingling. What made me think of this, we’re assembling the package of items. He’s got a 3-year-old niece that loves Liberty from the Rush Revere books, so we’re gonna send a whole Liberty package and a Revere package, and he was very proud he had his own phone now. And I said what kind is it? A Samsung S9. I said, “That’s a big screen phone?” He said, “Yeah.” I said, “Well, I’m gonna send you a couple Apple iPhones and choose one if you want to use it.” I’m gonna send him an 8 Plus and an iPhone X. Both of them are big screen. And we’re putting those together. And, Jerome, I know you’re out there because you want your life to stay changed so you keep listening here each and every day. Jerome, I want you to know both of these phones have no SIM card in ’em. They’re totally unlocked, so I think you can take the SIM card out of your Samsung and put it in the iPhone, whichever one you choose, and it will work, but there will be a note in there from me explaining all of that. And, if you weren’t here Friday and didn’t hear about it, we’ve still got the call linked at RushLimbaugh.com and easily accessible on the RushLimbaugh.com app.